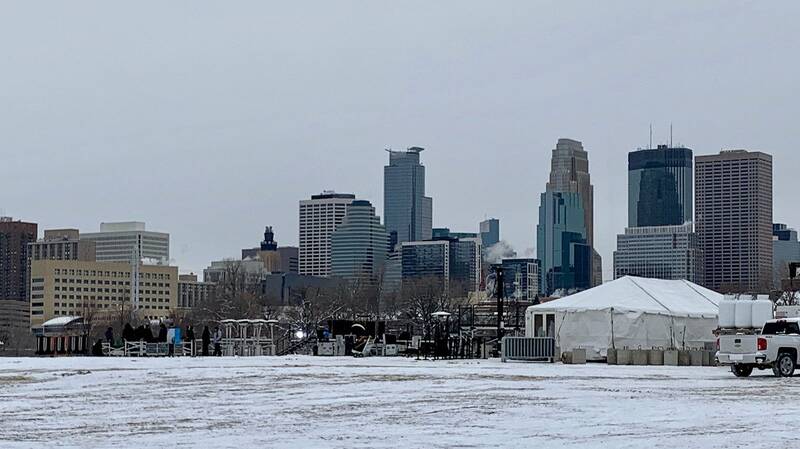 The stage is set for U.S. Sen. Amy Klobuchar's "major announcement" on Sunday at a public gathering at Boom Island Park in Minneapolis. 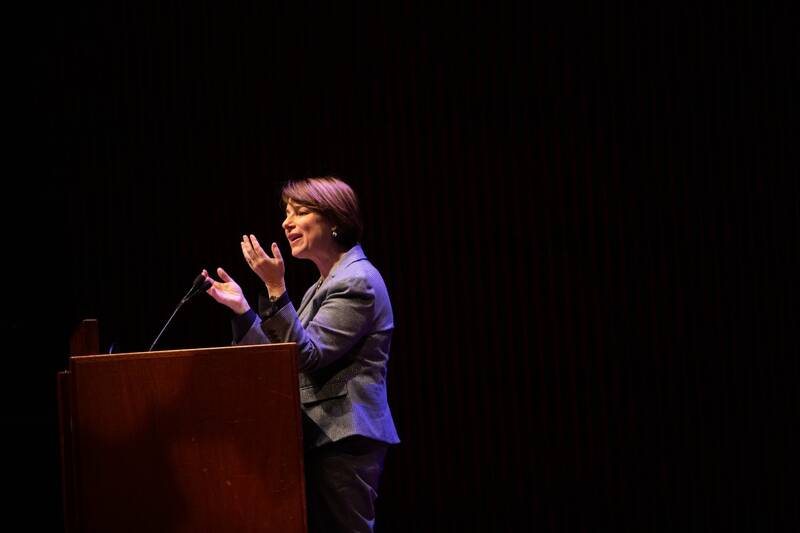 It's widely expected that Klobuchar will join the crowded field of 2020 Democratic presidential candidates — a field that grew on Saturday as U.S. Sen. Elizabeth Warren officially launched her presidential bid in Massachusetts. "I'm asking you to join us on this campaign. It's a homegrown one. I don't have a political machine. I don't come from money. But what I do have is this: I have grit. I have family. I have friends. I have neighbors. I have all of you who are willing to come out in the middle of the winter, all of you who took the time to watch us today, all of you who are willing to stand up and say people matter." Gates to Sunday's event at Boom Island will open to the public at 1 p.m.; the program is scheduled to start at 1:30 p.m. Temperatures are forecast to be in the upper teens, with a good chance for snow. Tents were in place on Saturday to provide attendees a break from the cold and forecast snow on Sunday. Crews were constructing the stage and doing other work to prepare for the event. Klobuchar, 58, started her third term in the U.S. Senate this year after winning more than 60 percent of the vote last November. She grew up in the western Twin Cities suburbs. Prior to going to Washington after winning her first term in 2006, she served as Hennepin County attorney. • Related: What does Amy Klobuchar bring to the party? But her national profile got a major boost last fall during confirmation hearings for Supreme Court Justice Brett Kavanaugh when she patiently questioned a combative Kavanaugh about his alcohol use. The exchange was even parodied on Saturday Night Live.